Known for its charming small-town feel, Georgetown has maintained its rich history while attracting growth and development. Friendly neighbourhoods with a diverse offering of fine schools make Georgetown an attractive place to raise a family. Surrounded by community parks, with playgrounds, splash pads, gardens, picnic shelters and leash free areas, the town offers an abundance of green space. And you are never far from picturesque picnic spots, bike or hiking trails in the countryside. It is no wonder Halton Hills boasts the largest active population in the region! The Trafalgar Sports Park located minutes from the Estates of Black Creek site is home to multiple soccer fields and baseball diamonds. Georgetown is also home to 2 hockey arenas and a robust youth hockey program. Of course there are many other sports supported in the region including tennis, swimming, lacrosse, volleyball, basketball and dance programs. For more information on the programming offered through the town of Halton Hills visit the Recreation and Parks website. Golf enthusiasts will be happy to find themselves 2 minutes from the The Club at North Halton rated 67th out of the 100 Top Golf Clubs by Ontario Golf Magazine. Eagle Ridge Golf Course, a club links course is 15 minutes east. Located within minutes of highways 7 and 401, Georgetown is easily accessible to the surrounding GTA. Located 9 minutes from the site, the Georgetown GO station delivers you to Union Station in one hour. Via Rail service is also available. Of course you don't need to travel very far to access shopping. Downtown Main Street offers a quaint strip of shops, spas, a theatre, and several restaurants. From June to October, it hosts a Farmer's Market every Saturday. Canadian Super Store, WalMart and the expanding Georgetown Marketplace are all within a 9-minute drive from the site. 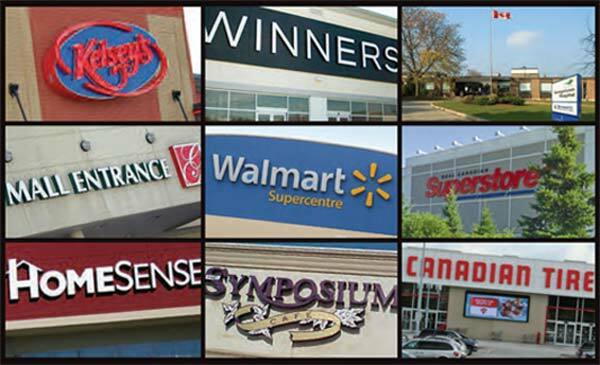 Premium Outlets Mall, with over 100 stores is less than 15 minutes away at the corner of Trafalgar and 401.